Building a new website for your business can be such an exciting task that sometimes important features fall through the cracks. One of the most important tools that often gets overlooked is the sitemap. Proper development of your site should begin with excellent work put into your sitemap. Here are some tips for making your map a winner. When development is complete and your sitemap is ready for creation, consider the hierarchy of your site. Which pages are the most important? Which could be considered sub-pages? 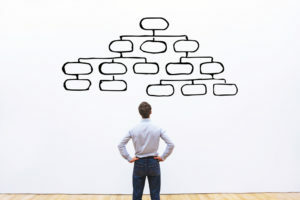 Think about organizing your sitemap like a tree. The trunk is your homepage, your main pages serve as branches, and the sub-pages that stem from those are the leaves that fill out your site. 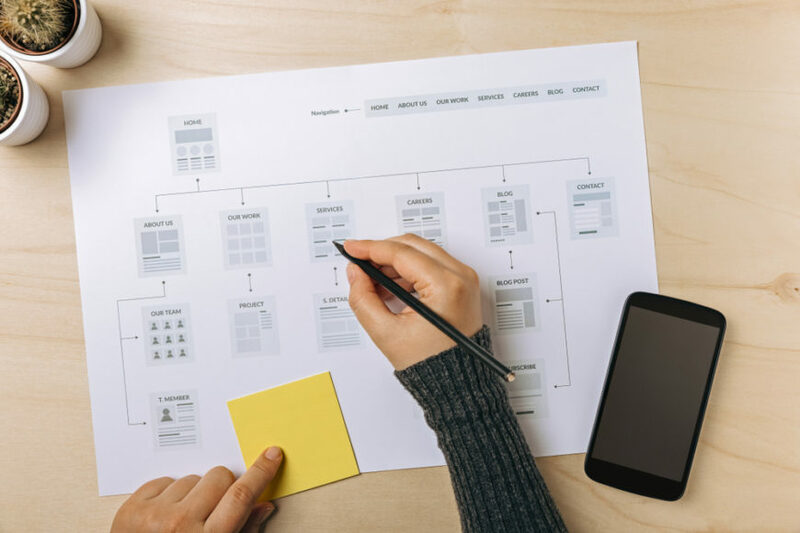 Organizing your sitemap this way provides a natural site flow, making your site simple to navigate and allowing visitors to find what they’re looking for. It also helps Google understand the main pages on your site during crawls. Although your sitemap doesn’t have to be in the user’s face, it’s still a smart move to have it in an obvious location. Most sites place sitemaps on the sidebar or bottom of their homepage. Some sites even link directly from the homepage. This is our preferred practice not just because users can easily access the sitemap, but it’s great for search engine optimization! With your sitemap in an easy-access spot on your site, search engine spiders will instantly latch on to it. Yes, you want your sitemap to cover the main elements of your site, but even thoroughness has its limits. You can add any number of links to your sitemap, but you could be red-flagged by search engines as a link farm and not a genuine site. More than 200 links make it harder for users to explore your sitemap, leaving them frustrated and ready to move on to a different site. As you create your sitemap, check your analytics and learn what pages are getting the most attention. This valuable information will help you determine how to organize your site’s hierarchy on your sitemap. 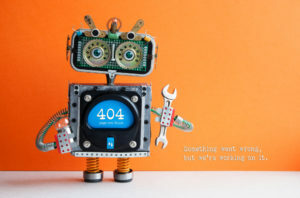 No one wants to click on a link that leads to a dreaded “404 Error” page. In fact, these pages will just lead to a higher bounce rate and decreased rankings. So, it’s in your best interest to periodically review your sitemap. Click on all of the links and ensure that they travel to an actual page and not an error. If you find any broken links, remove them from the sitemap to avoid any user experience issues. Visitors should be able to easily find their way around your site. Once you complete site development, take the extra step of creating a site map so that they don’t get lost in the shuffle. If you need help creating a great user experience, we have an expert team standing by. Reach out to Big D Creative today to find out more about our experience in your industry!